The events and operations of NZSA are overseen and organised by a hard-working group of volunteers. Each year NZSA members vote for nominees to the Executive at the Annual General Meeting in December, and those accepted serve a two year term. Once the Executive Team is selected, they vote on the role of President. Roger has 30+ years’ experience in software including 10 years working for major companies like Oracle and Microsoft in a variety of management roles. 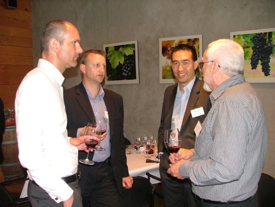 These included channel and business development for partners, within NZ and across Asia. 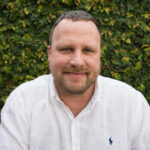 He has run his own practise, Innovise, for 13 years, which has undertaken a variety of business transformation and software development projects. He is currently the COO for The Testing Consultancy, which has over 80 Testing Professionals deployed across Auckland, Wellington and Singapore. Roger also spent 10 years working with the IceHouse and University of Auckland as a judge, mentor, and guest presenter for their Entrepreneur Business Challenge called Spark, plus he’s been a judge and mentor for other business and software competitions like Microsoft’s Imagine Cup and the BNZ Virgin Business Challenge. His experience in start-up and high growth business has expanded to include advising on a number of mergers, acquisitions, strategic partnerships and capital raising efforts. 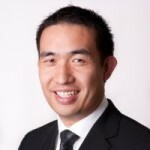 Edwin is a senior commercial lawyer who has specialised in technology, media and intellectual property for over 13 years. His main areas of practice are technology procurement, outsourcing, IP commercialisation, technology due diligence, and general commercial. Edwin has worked for clients in various industry sectors including the software, technology, banking, government, media and healthcare sectors. Edwin has a passion for technology – in addition to his law degree, he has a Commerce degree majoring in Information Systems, so he understands the technical and legal issues involved in complex technology matters. Edwin previously worked at Bell Gully for over six years in Wayne Hudson’s team. In 2006 he left to join Clyde & Co in Dubai, where he advised clients on technology projects, as well as establishing and conducting businesses in the Middle East. Edwin joined Hudson Gavin Martin in April 2010. Born and raised in Slovakia. 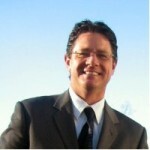 Martin moved to the San Francisco Bay Area in 1996 where he completed his IT degree and started work in the IT industry. He began his career working with systems, applications and databases and continued the technical role once he moved to Auckland, New Zealand in 2007. Martin is a certified and experienced DBA for Oracle, MS SQL, DB2 systems. Since starting with Dbvisit Software in 2014, Martin has specialized in database replication and data manipulation. In his current role of Chief Services Officer at Dbvisit Software he is working closely with Dbvisit partners and customers and leading a direction of Dbvisit Software services provided both externally to partners and customers as well as services provided internally to Dbvisit Software. Martin believes in creating strong and long lasting relationships and is actively involved in Auckland’s business and tech communities. Pip is a senior strategy professional with additional experience in innovation ecosystems, activities and delivery of innovation projects. During her time at The Icehouse she lead the development and delivery of major strategic initiatives that included innovative software projects. 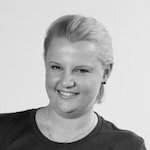 She also worked closely with a number of SaaS startups both advising and supporting their early growth journey and opening doors to potential partnerships with corporate organisations through the design and execution of corporate innovation activities. Pip currently works in the hi-tech sector with EROAD, an NZX listed transport technology and compliance company that provides an integrated hardware and software solution enabling the management and compliance of commercial vehicles both in New Zealand and across the United States. Pip believes that the software industry is a critical part of realising New Zealand’s potential as an export powerhouse, growing our economic performance and future outlook.